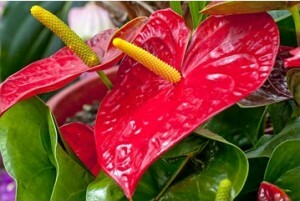 The Anthurium plant is native to the jungles of South America, where it grows on trees. 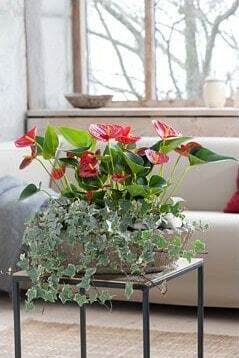 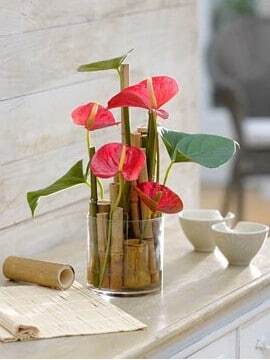 Since most people will not be able to provide that type of habitat inside their homes, the two things you need to remember are to water regularly, but NEVER let your Anthurium’s roots sit in water or they will rot. 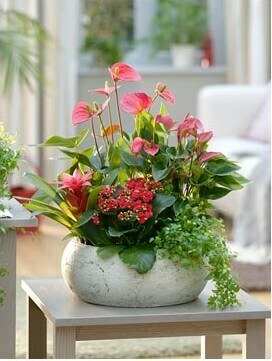 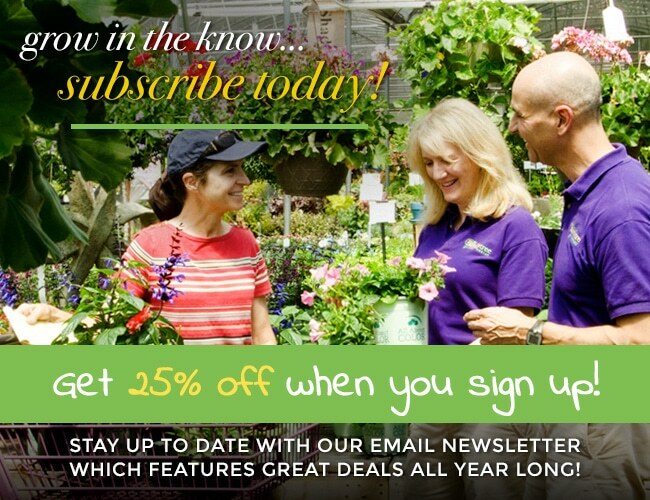 Those two facts are all you need to remember to have a thriving Anthurium!